Approximately 400 visitors attended the Lasers in Action forum during Lasys in Stuttgart, Germany, between 5-7 June. A total of 30 talks took place over the three days of the trade fair, covering topics such as micromachining, cladding and welding, additive manufacturing, laser safety, beam shaping and ultrafast lasers. The forum also featured an executive panel discussion on the market opportunities to be gained from making the switch to laser technology, and the skills and training required of personnel in order to make such a switch (see section 'Now hiring: skilled personnel' in our coverage of Lasys). The panel comprised of Basil Garabet, CEO of NKT Photonics, Dr Ulf Quentin, head of industry management for microtechnologies at Trumpf Laser-und Systemtechnik, David Lawton, sales manager at Lasermet, and Jean-Paul Nicolet, head of laser business development and market support at GF Machining Solutions. 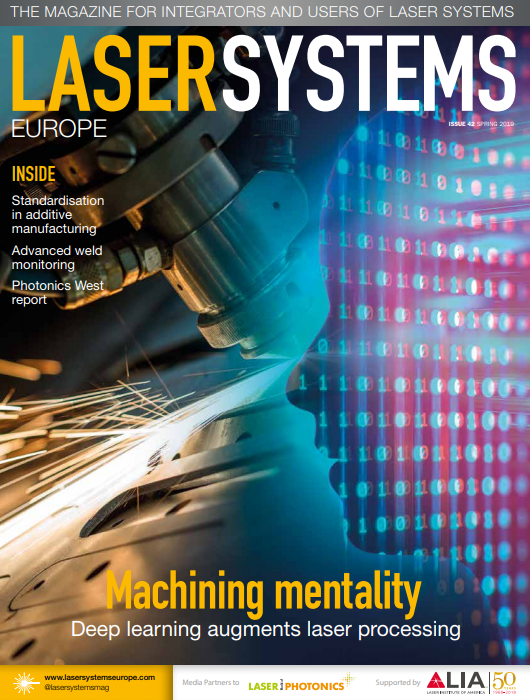 The discussion was moderated by Warren Clark, Laser Systems Europe’s publishing director.